The workshop, organized by the Directorate of Standardization and Codification of the Defense Technologies Department, Material Resources SEctor, was opened by the Directorate’s chief Colonel Zoran Spasojevic. The delegation of the German National Codification Bureau was headed by its director, Colonel Dieter Robaskijevic. 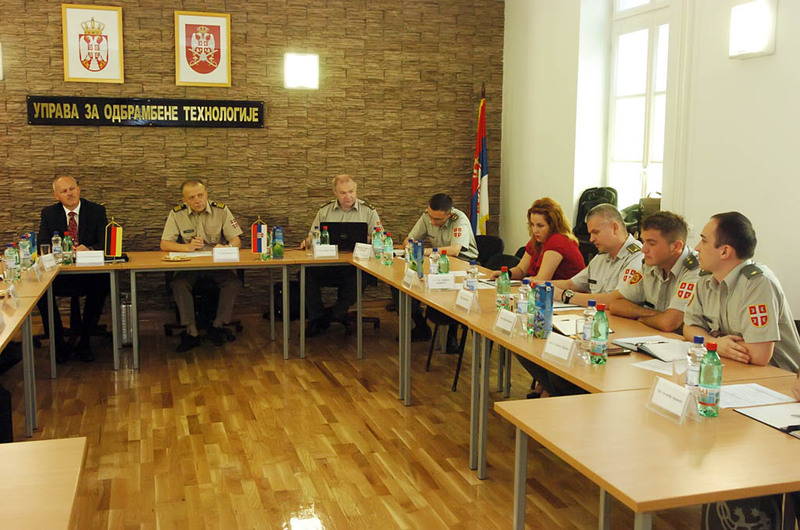 The workshop was attended by representatives of the Ministry of Defense, the Army of Serbia and the Serbian defense industry. The topics of discussion were very important for the present moment for the defense system and included the UN ordnance marking codes intended for peacekeeping missions, analysis of codifying clauses that compose part of any arms and military equipment supply agreements as well as the codification of complex armament systems. The German Codification Bureau delegation was received by the Chief of the Defence Technology Department Brigadier General prof. Bojan Zrnic. It was noted that Serbia has made significant strides in meeting the requirements for admission to a higher degree of sponsored membership in the NATO Codification Committee as a non-NATO country, followed by the signing of the bilateral codification agreement with Germany.